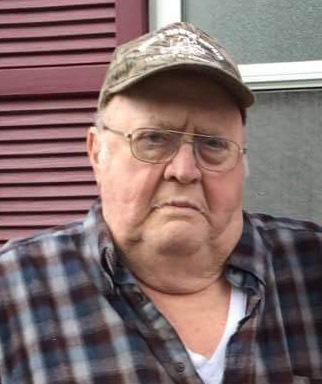 Larry Joe Barnhart, 73, of Terre Haute passed away unexpectedly at 12:45 a.m. Wednesday November 28, 2018 in his home. He retired as a cement finisher after many years as the owner of Barnhart Concrete Construction Company. He was born February 19, 1945 at Terre Haute to Richard Barnhart and Cleora Manning Barnhart. Survivors include: His Wife Kathleen Clara Allaire Barnhart; seven children Donna Cooper (Jeff), Kenny Barnhart (Amanda), Patricia Long, Robert Sparks, Kathleen Sparks, James Sparks (Sandy), and Thomas Sparks; two sisters Judy Berner (Richard) and Carol Hanks (Glenn); fifteen grandchildren; many great grandchildren and special cousins; and his special dog Riley. He was preceded in death by a brother Donnie Barnhart and sister-in-law Sandy Barnhart. He was a thirty year member of the Operative Plasterers and Cement Masons Union Local 692 and the Eagles Lodge No. 274 at Brazil where he served as secretary for many years. Funeral services will be 4:00 p.m. Sunday in Fitzpatrick Funeral Home, 220 N. 3rd St., West Terre Haute with Pastor Chris Wilbur officiating. Cremation has been arranged after all services. Visitation will be 2:00 p.m. until service time Sunday. The family suggests that if friends so desire, memorial contributions may be made to Catholic Charities with envelopes available in the funeral home.